Starring: Patrick McGoohan, Michael Hordern, George Cole, Tony Britton, Peter McEnery, Sheila Hancock. 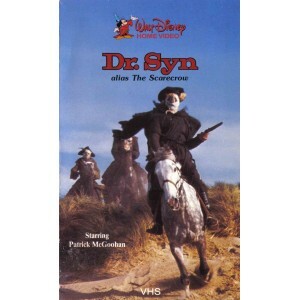 A poor 18th century English coastal farming community survives the King's ruinous taxes thanks to a smuggling ring created by its masked leader called the Scarecrow. The ring's success leads King George to order the Royal Army's General Pugh to capture and execute the ringleaders. It is a battle both of wits and action that the Scarecrow must win to save not only his own life but those of the men he leads while keeping the vital smuggling operation running.